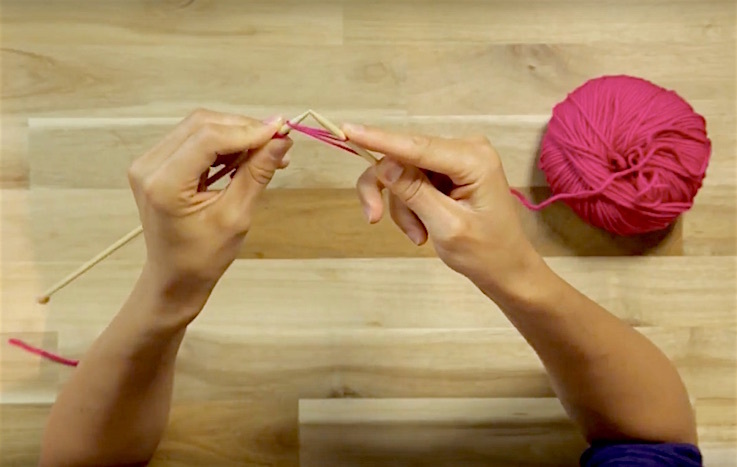 Whether you're a beginner, intermediate, or advanced knitter, there are habits that you can develop to make you even better! Merion will help you polish your skills with these 10 tips! 1) Read the pattern before you start! Even the most hardy of knitters make mistakes because they don't read their patterns properly! You might think you can skim through a pattern, but techniques change all the time, and so does yarn! Reading the pattern through thoroughly before you start will ensure that you have everything you need and will give you the chance to look up skills or techniques you either haven't come across before, or need brushing up! 2) Keep your techniques on their toes! If you have never knitted a jumper top down, or bottom up - try it! If you have only tried Kitchener stitch once, try it again! It's important to keep your knowledge up to date. You can do this in so many ways, but a good way to start is to subscribe to favourite blogs - knitters who are working with new projects all the time, and designing using new techniques. 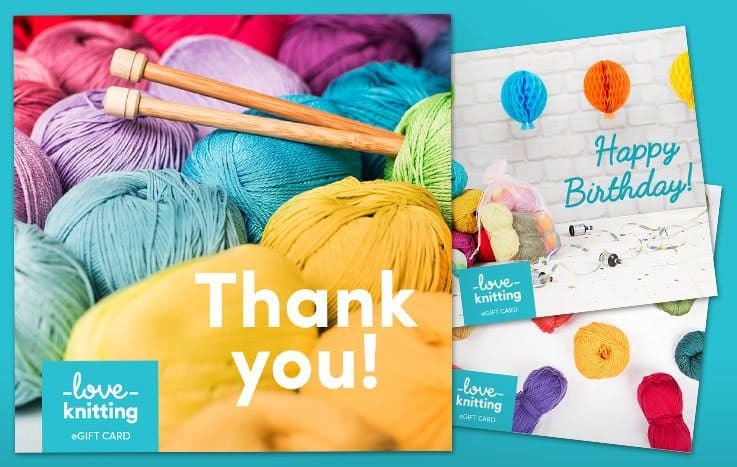 We love Anna Nikipirowicz at Moochka.co.uk and Sarah Knight at Crafts from the Cwtch for good knitting tips, reviews and advice! 3) Keep your needles tidy! If you're anything like me, your needles are either jammed into a knitting back or poking decoratively out of a jug, but it's not really the best way to look after them! Keep them in pairs with elastic bands, and, especially if you have wooden needles where the size might have worn away, either mark them with an indelible pen or with a dot of nail polish that will signify to you what size they are. A knitting bag is perfect for storing your single points, or a long case like this Clover Striped Knitting Needle Case that will keep your needles protected! 4) Travel with project bags! Don't just pop a knitting project into your bag thinking that it will be absolutely untouched by everything else in there! It will catch on phones, pens and books and pick up dust. It's essential to put your WIPs into project bags to keep them safe! You could use the glorious organza bags that we send you with your yarn - but, it's a great idea to invest in a few beautiful project bags that will keep your WIPs safe! Unless you need to rip out 30 rows of stocking stitch, try not to leave a mistake. Frog it, and do it again - or you will spot that mistake every single time you see that piece of knitting! Don't be frightened to go backwards - reading your knitting and putting it right is a fantastic way of expanding your knitting knowledge. If you're nervous to do it on your own, ask a fellow knitter to help you! It's something we talk about a lot, but knowing your tension is essential for knitting garments that fit. Tension, or gauge, is the reflection of how you knit - whether you knit tightly, or loosely, measuring the size of your stitches themselves. 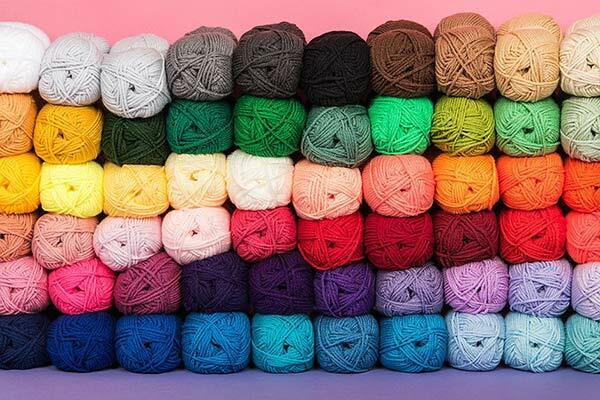 If five knitters sat down with the same size needles and the same weight yarn and knit 10 rows, none of them would measure the same in size! It doesn't matter whether your tension is loose or tight - it's your personal tension. To alter it, simply change your needles up or down a size to make your stitches bigger or smaller rather than trying to knit tighter or looser. Read more here! We often have more than one project in progress, but that is no bad thing! You will often need a project for simple knitting, a project that is relaxing and doesn't tax you too much to knit (think rows and rows of stocking stitch), and you may well have a project that requires real concentration. Try to be mindful when you knit, and by that I mean, focus on what you're doing and really try to enjoy that moment - for relaxation, or for development - no matter what - really place your focus on your knitting. Very few knitters, no matter what they say, can knit without a thought. 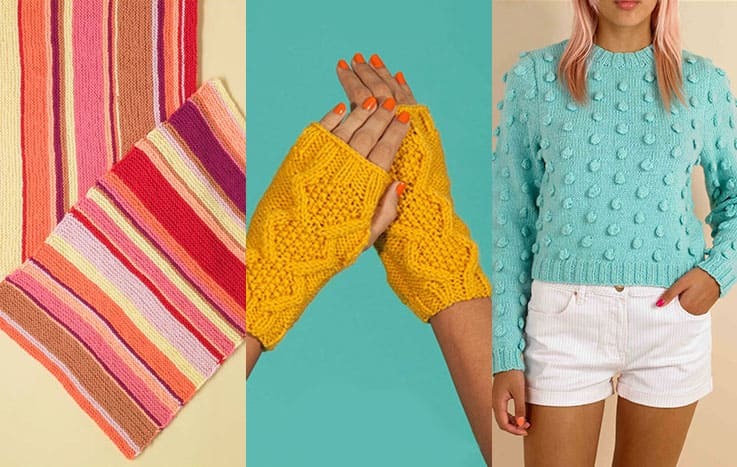 Read more about mindful knitting here! 8) If you don't love it, frog it! Unless you're working on a commission, if you don't love what you're knitting, stop! There are times we start with a yarn we're not sure of, or a pattern we don't actually like - and we persevere and persevere but we don't enjoy it. My advice at this point is simply to stop, and frog. There's no point in knitting something for yourself that you will never wear, and all the hours and time that go into that project are wasted if you don't really like it! I knitted half a jumper in a glorious pumpkin shade before I realised that there was no way on earth I would ever actually wear it. Frog it, and start something you love. 9) Pay attention to your hands! Your hands are your tools, and if they're aching and painful, you won't be knitting! Firstly makes sure you stretch your fingers and wrists before you start and whilst your knitting, just to keep them supple. Take regular breaks and gently massage the palms of your hands, and fingers to relieve any tension there - it is amazing the amount of tension we can store in our hands! If you have the chance, go for a professional hand massage and you'll be amazed the difference it makes! Invest in a good hand cream to keep your skin soft so that it feels comfortable with yarn, but also to stop any dry skin from snagging. There are many helpful tips if you find that your hands ache: try shorter needles, cable needles to keep the weight from long single points and work with wooden or bamboo that is easier to grip than metal. 10) Put time aside to knit!